These haunting words seem to be swirling around my head on repeat! I am currently in Year 11 and therefore I will be taking my examinations this summer. This is now the crucial revision period on the lead up to the daunting days ahead. Along with exams comes stress. Stress can cause you to become less productive, tired, distracted and irritable. I am going to teach you tips and tricks in order for to succeed in your exams; or ways to stay relaxed in general. Avoid fatty, sugary foods ,such as cereal, chocolate or sweets, and try to eat more foods such as eggs, salmon and pasta. These foods all have slow energy release to ensure you don’t get tired and unfocused. Cramming is a no go! The best way to set yourself up for the exams is to have plenty of sleep in order to recharge your body for what the day holds. Why not purchase a brand new mattress to make your dreams even sweeter? Regular exercise can help to relieve stress and can take your mind off the stressful revision. It also ensures that you stay fit and healthy! Do you work best in your bedroom on your own? Do you like working at your desk? Would you prefer to revise outside? 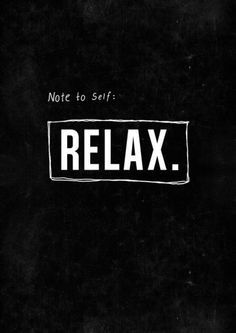 (Even though at the moment the weather isn’t being the kindest) Try to find the best place for you to stay calm and focused. Stay hydrated during the exam period, and during the lead up. Plenty of water and herbal teas will ensure you stay soothed and calm, while hydrating your cells to keep your brain ticking. Stay away from cups of coffee and fizzy drinks! You may love to rave to your club classics playlist, or rock to your heavy metal tunes, but try to listen to soothing relaxation or meditation music while you revise or during your day-to-day life, to calm you down and to escape for the chaos of exams. Imagine yourself opening your ideal grades at the end of the exam period, and believe that you can do it. A positive mind opens you up to be more productive. Laughing helps to de-stress as well and releases any worries or concerns you may have. Having an indoor plant can clear the air you breathe in, and can consequently de-stress you. Like to cuddle with your snake, or stroke your cat? The physical contact we have with animals reduces blood pressure and therefore calms us down. A walk outside , through fields, parks or woodland, can send your body a soothing message due to the therapeutic environment. Soaking in a hot bath can de-stress you completely, and can be a technique for relaxation. Why not try adding essential oils to the water, to give you a sense of even more calmness? I hope these techniques will help you to relax and stay positive!